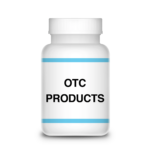 We offer a wide array of OTC medicines, nutraceutical and dietary supplement products. They include: multivitamins, gummies, individual supplements, herbal formulation, tablets, capsules, sports supplements and nutritional shake powders. These products are specially formulated from the best raw materials available, and are manufactured in our state-of-the-art facility in a FDA compliant manner. Pioneer Life Sciences offers private label manufacturing services for all of the stock formulation products as well as custom formulations. Private labeling our stock formulas enables vitamin businesses to bring best sellers products to market in just two weeks. We carry wide variety of high quality formulas amongst various dosage forms-capsules, tablets, softgels, liquids, sprays, gummies and powders-encompassing a broad spectrum of health & wellness niches. We have industry minimum order quantity of our stock formulas, making them perfect for pilot programs and cross sell tests.